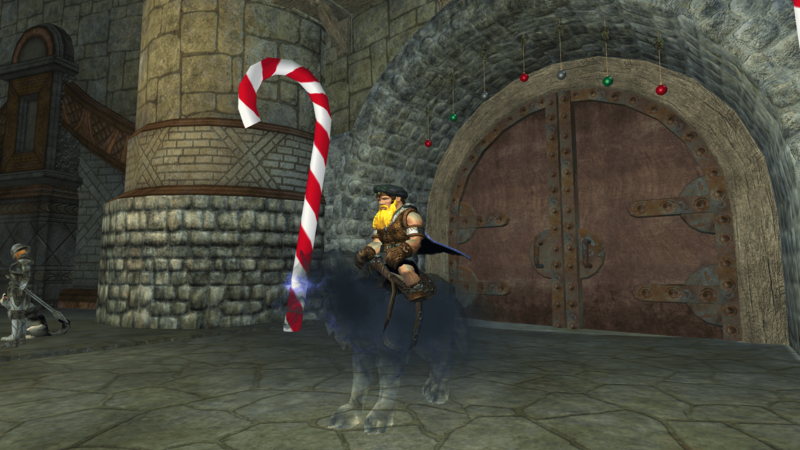 A review of Everquest 2? Really? Isn’t that like… a 10 year old game? Well, yes, but it is a game that’s still going strong, and at the end of last year released it’s latest expansion – Tears of Veeshan, so when the EU operators ProSiebenSat1 asked if I’d be interested in taking a look at the state of the game in 2014, I thought it might be interesting to see how things have evolved. As this return had been at the suggestion of the game distributor, the nice folk at P7S1 had provided me with a fully pimped out level 75 character, complete with flying mount so I could jump straight into the new Tears of Veeshan expansion and have a look around, which of course I did… Then, after about 30 mins of flailing around, pushing buttons, and realizing I was somewhat out of practice, I decided it might be worth starting a new character so I could remember how to play… With that, I booted back to the character creation screen, and created a blonde haired, newbie dwarf Paladin, all ready to set off on his exciting new adventure! When I first played, you worked your way through 1 of 2 ‘newbie’ isles which then spat you out into either the good city of Qeynos, or the evil city of Freeport. But with the many expansions and changes that have occurred of the years, you now get to chose from 1 of 4 starting locations – Frostfang Sea, Timorous Deep, Darklight Wood or Greater Faydark, each which should carry you through to around level 20. One of the first things I started to notice is how much less of a grind it feels. Sure, there are your standard ‘kill 10 rats’ quests, but they tend to be coupled in with other quests meaning you level up much faster. The story also feels a lot more refined, giving you a better feeling of your place in the world. As with a lot of MMO that have grown over time, you start to see how elements of other games have influenced them. You definitely get the feeling someone at EQ2 had been playing a bit of LotRO and some WoW and had lifted some of the game ideas – just as people at those 2 games had done with EQ2 i’m sure, but I don’t mean that as a criticism. The ideas that pass back and forth across these sort of games only serve to make each MMO stronger, and that can only be a good thing. As I traverse the snowy wastelands of the Frostfang Sea, I meet various other refugees that are struggling to survive. I help a froglok father find his missing son, and help put a dwarven spirit to rest. I also discover the dastardly orks have been tunneling under the continent, which means I have to swim out and under the sea to stop their evil plans! The quest chains seem to flow nicely together, although there was the odd occasion when I’d find myself wanting to slap an NPC when they go “oh, actually, if you could just pop back to that place you’ve just been and pick me up something, that’d be great!”… Generally though, it keeps you moving forward, and on to the next questing area. All this leads me to Frostfang’s main city hub, New Halas. As I arrived, it was still the Christmas holidays, so I found myself in a lovely snowy city, surrounded by Christmas trees… and Christmas goblins… They’re all friendly though, and ask me to help hand out presents to the townsfolk, for which they will reward me with my own tree to place in my house. Housing is something that’s ignored in a lot of modern MMOs, which is a shame, as having a space to call your own I really think it helps sell the idea that you’re living in a fantasy world. Whilst I don’t think anyone has quite managed to yet match the incredible options of Star Wars Galaxies (find an spot on a planet – build your house – decorate it with anything from your inventory), EQ2 does have a huge number of housing options. Gone are the days when you were restricted to 1 or 2 rooms in a tavern (unless you were a guild, or loaded with gold). You can still rent all the old rooms and houses, but now there are a mass of options on EQ2’s marketplace which can be bought with Station Cash, SOE’s virtual currency. I chose to go for a nice picturesque log cabin set on it’s own plot of land, which I decorated with various objects I’d won as quest rewards. If you want more items though, you could decide to take up crafting, and make your own furniture. 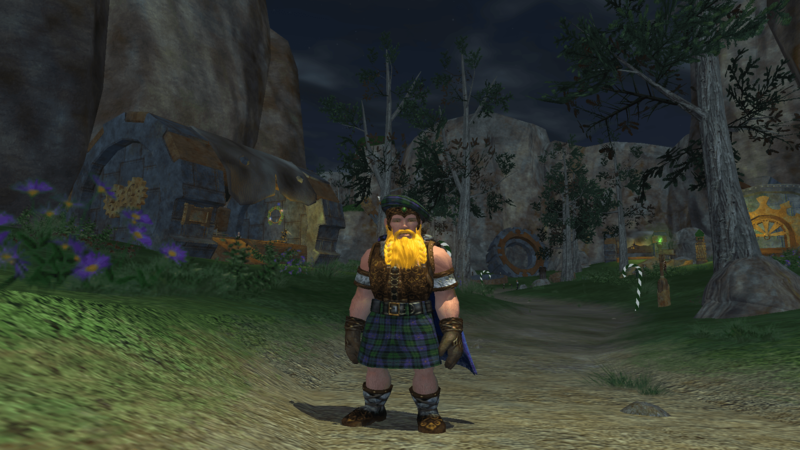 Crafting has also been a huge part of EQ2, to the point that you can effectively play the game purely as a crafter, without ever really needing to become one of those scruffy adventuring types. The crafting ‘mini-game’ strikes a nice balance between the hellish build-chains of SWG and the push-a-button simplicity of games like WoW. It’s nice to see a game actually take some interest in an area which is seen by a lot of companies as a secondary feature. I’m really looking forward to seeing what SOE do with it in the upcoming Everquest Landmark/Everquest Next games, as they push MMO crafting onto a whole new level.